Honestly, he is one of the nicest, patient and realest doctors I have ever met. He tells you the truth andanswers everyone of your questions no matter the topic. He is honestly amazing and cares about his clients well being. I will have him as my doctor forever! If you need a new doctor, see him. I promise you will not regret it! Honestly, he is one of the nicest, patient and realest doctors I have ever met. He tells you the truth and answers everyone of your questions no matter the topic. Heis honestly amazing and cares about his clients well being. I will have him as my doctor forever! If you need a new doctor, see him. I promise you will not regret it! Visit was professional. I was nervous because i hvent gone to a doctor in years. But it was a confortable setting.Dr. Yeboah doesnt just treat right away. He rules things out first. That's a good thing to have in a doctor. Visit was professional. I was nervous because i hvent gone to a doctor in years. But it was a confortable setting. Dr. Yeboah doesnt just treat right away. He rules thingsout first. That's a good thing to have in a doctor. 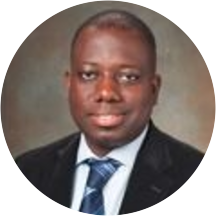 Dr. Yeboah is Board Certified in Internal Medicine. We strive on educating and informing the patient, giving them options and empowering them to make the right treatment choice for their needs. Dr. Yeboah and his staff, using the latest in high tech equipment and modern techniques, strive to consistently deliver high-quality health care needs with integrity and great customer service, in a friendly, compassionate and inviting atmosphere.